Cruising the Galagos Islands - the show-window of evolution. 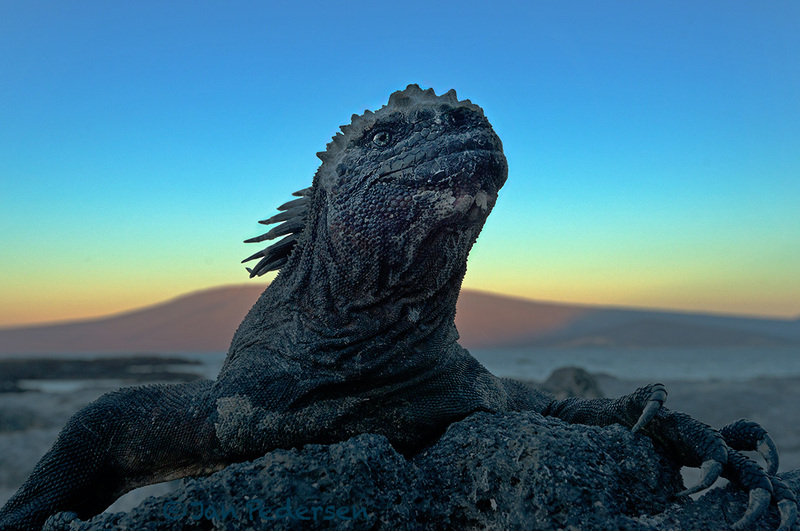 Here a Marine Iguana from the island of Fernandina. The Darwin volcano from Isabella behind. Good to be back and my group is interested and great to lead.